This topic is long overdue, but better late than never, right? Looking at it in a broader scope, the concept behind the blockchain technology is to create new processes and entities that carry out automation either in whole or in part. 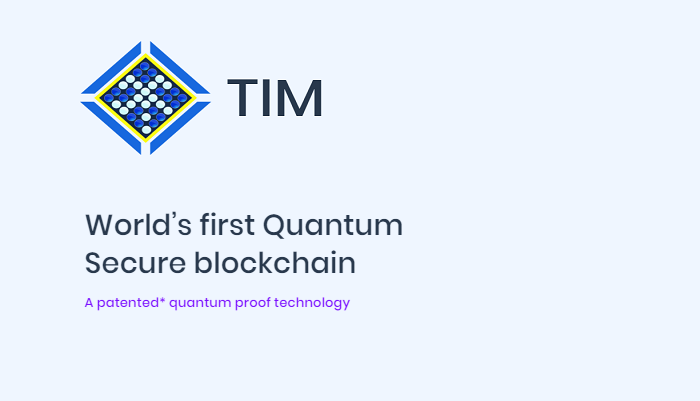 The TIM blockchain is one of the recently innovated blockchain-inspired systems that has a lot to contribute to the growth of enterprise transactions including money and non-money where IoT (Internet of Things) may play the role of crucial enabler to facilitate data capture and exchanger in an economical and scalable manner. Business organisations transact a lot among themselves. And money is only a small fraction of that transaction. Most of the time it is promise and commitments. For many of these promises and commitments are transacted via an intermediary like banks or legal systems. Not only the existing intermediaries make this costly but also inefficient. Enterprise exchanges are becoming easier, integrated and secure with TIM’s massive bandwidth where any number of businesses can be hosted simultaneously. Here is something many other blockchain-based systems don’t do – support 100 million transactions per second – but guess what? The TIM Blockchain does this with ease. But how does it do this? Based on demand, TIM is built as a dynamic set of multiple graphs that become faster as their size depreciates resulting in reduction of the network’s latency. 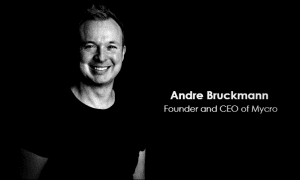 This is how it works; if there are 10,000 graphs, each graph in this group is able to accumulate over 10,000 transaction per second. With this type of setup, TIM is able to achieve over 100 million transactions per second. The TIM blockchain is able to scale from 100 transactions per second to reach up to 100 million transactions per second. This is done by effectively sharding into smaller shards and maintaining a global agreement of every transaction within the network using two dynamic layers of graph and blockchain. By doing this, TIM provides businesses and enterprises like finance, e-commerce, banking, and logistics, with an extraordinary performance level and a cross-commerce opportunity for carrying out transactions. A number of players can be hosted on TIM making a completely digital supply chain. Such organisations stand to reap the first mover advantage and a formidable offering in any competitive market. The global sector of cross-industry commerce has a high level of dispute which can be attributed the complex process involved in data exchange interfaces as well as its integration. Take the creation of a collaboration between a business that is into healthcare and another that is into logistics as an example; to do this successfully, the integration of two different types of Enterprise Resource Planning systems (ERP) like Customer Relationship Management (CRM) and Electronic Data Exchanges (EDI), will be required. If these organisations host their resources on blockchain, they stand to benefit from timely information and data driven decisions at every step. This is similar to internet era when organisations has to be convinced to create a database and internet gateway. Today, they need to adopt blockchain as storage of encrypted transactions. One of the unique things about the TIM blockchain is that enterprises and industries acting as individual entities still stand a chance of benefiting from the network. For example, businesses in FX-trading and banking can become more user-friendly and easy-to-use by making use of the anonymous, encrypted, and secure characteristics of the TIM blockchain. This simple act can cause a rapid boost in their inventory that have in the past had the lowest number of integrations. Blockchain came with a promise and industries around the world accepted it with open arms. 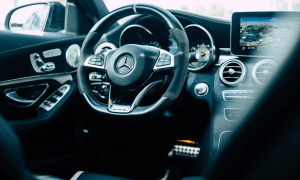 With the technology providing a better way to carry out activities like financial services, automobiles, aviation, and retail, many global sectors around the world are willing to let go of the traditional means of exchange and opt for the technology. But TIM has taken it to the next level as it acts as a superb enterprise blockchain that is able to carry out up to 100 million transactions per second.